This WEEK IN REVIEW covers the whole summer. This summer was so alive! Still is! TUESDAY, the MAJORVLOG arrived! Similar to this WEEK IN REVIEW, the vlog covers the whole summer. THURSDAY, I was out of the office - location scouting! Corner stores, corner stores, corner stores. FRIDAY, I am at my desk, doing some reflecting. So alive, this summer was all about seeing novelty inside familiarity. My summer trips took me to all-familiar spots. I returned home to Little Rock, Arkansas. I gathered with family in Aspen. 2 weeks later, at my grandmother’s house, we gathered again. The final rest stop was Boston. Running along the Charles, stomping on the most familiar old cobblestones, I realized: novelty and familiarity are not exclusive experiences. For the first time, I experienced Boston without anxiety. No impending classes, papers, or final exams. This time, I was on vacation, and I was free agent. The freedom expanded my appreciation for the city. Boston was on display. EARLIER, this August. 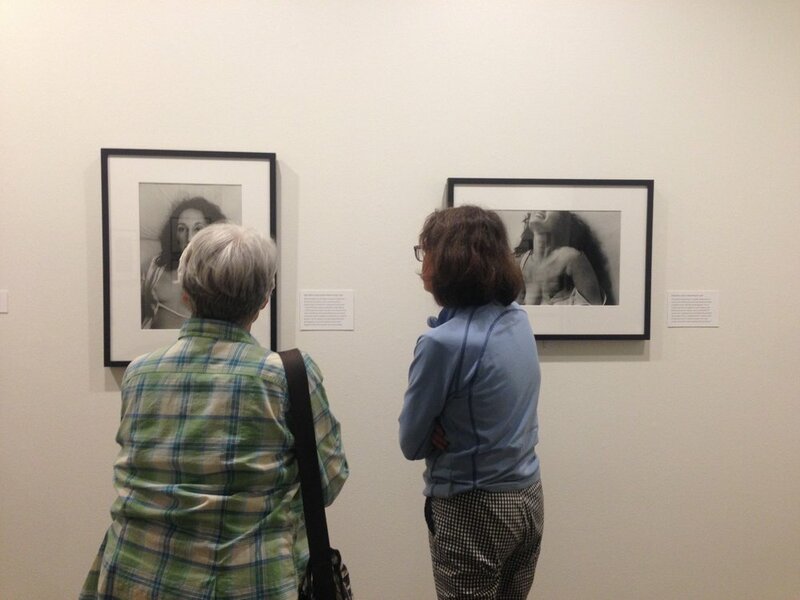 I spent 4 hours with my mother and grandmother at Eugene Richards photography exhibit. Gary Knight of the VI Photo Agency introduced me to Eugene Richards back in 2013. To this day, Eugene Richards is a critical and infinitely relevant influence on my style of documentary storytelling. Curious, still? Please spend some time on Eugene Richards' personal website. Also, here is the link to the exhibit - "Eugene Richards' Run-On of Time." DAN MCGINN: How much was your lack of familiarity with the rules the key to your ability to innovate? JERRY SEINFELD: You know, it’s very important to know what you don’t like. It’s good to have an idea, but a big part, I find, of a lot of innovation starts with someone saying, you know what I’m really sick of? That’s where innovation begins. Like for me, it’s like I’m really sick of music playing while somebody walks out to a desk, shakes hands, sits down, how are you? How are you? You look great. So do you. It’s like– I’m sick of that. I want to hear what’s the first funny thing this person said. I’m also sick of people who really, talking is not their thing on talk shows. But they’re there to sell their show, their product. The same thing with my TV show. That’s one of the places where I start. What am I really sick of? TODAY, I’ll go first. I am sick of seeing, conventional business testimonial videos, different strains culture being mutually exclusive, i.e. trap music and Schubert piano quartets, linear storylines, the American South being a mystery, Business to Business videos completely devoid of comedy. There. That’s off my chest. There. The initial brainstorm is over. (Rubs hands together.) Innovation should be just around the corner. Perfect timing! Weenta and I have a production-filled fall, coming up! RIGHT HERE: Another plug. Check out my most recent Youtube upload. Similiar to this WEEK IN REVIEW, the video leap frogs contexts, returning to the question: what are you sick of seeing? RIGHT NOW! Inspiration. Check out what I am not sick of seeing.